Designed for all the little groms across the land. Curved flow channels add speed and control while approaching the wake and makes landings soft and effortless. 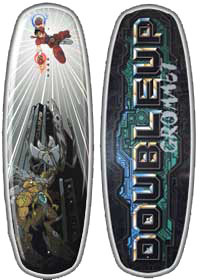 Nice continuous rocker allows the board to glide through the water and the rounded tip and tail makes the board turn effortlessly.